Casting off gets your yarn off your needle at the end of your project. 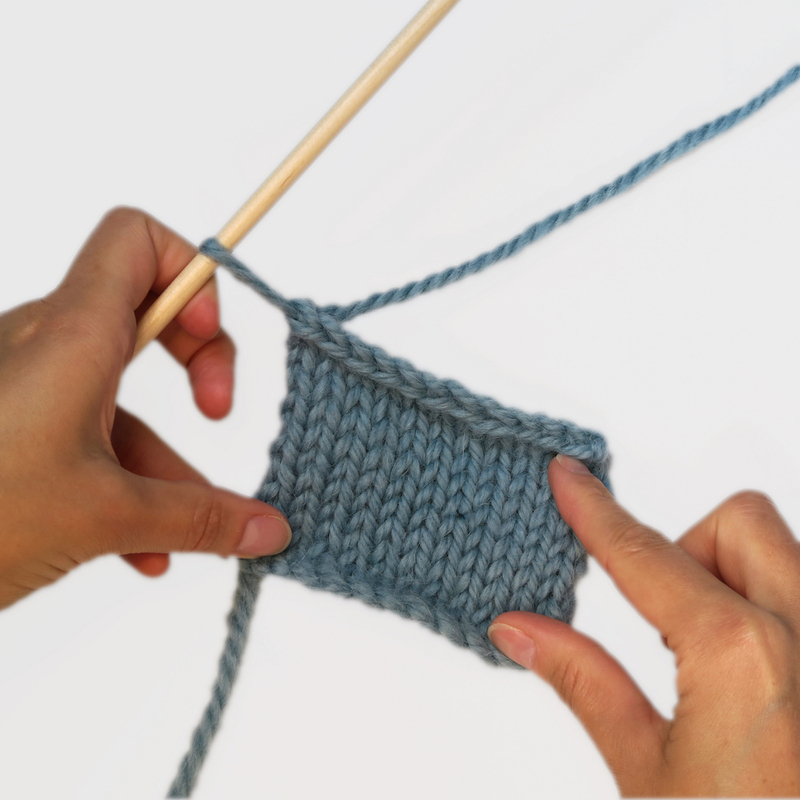 There are various decorative ways you can do this, but the basic cast off is really simple, and you can do it with either a knit or purl stitch. All our kits use this method to cast off unless stated otherwise. Look at our step by step photo instructions, or watch the video below for instructions on how to cast off. 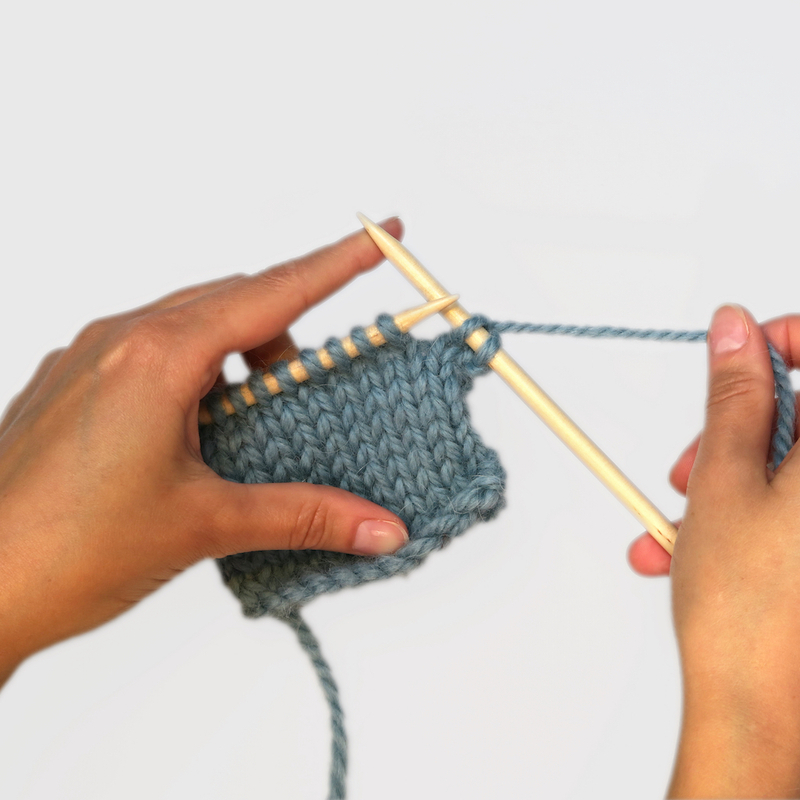 After your final row in the pattern, knit or purl two stitches. 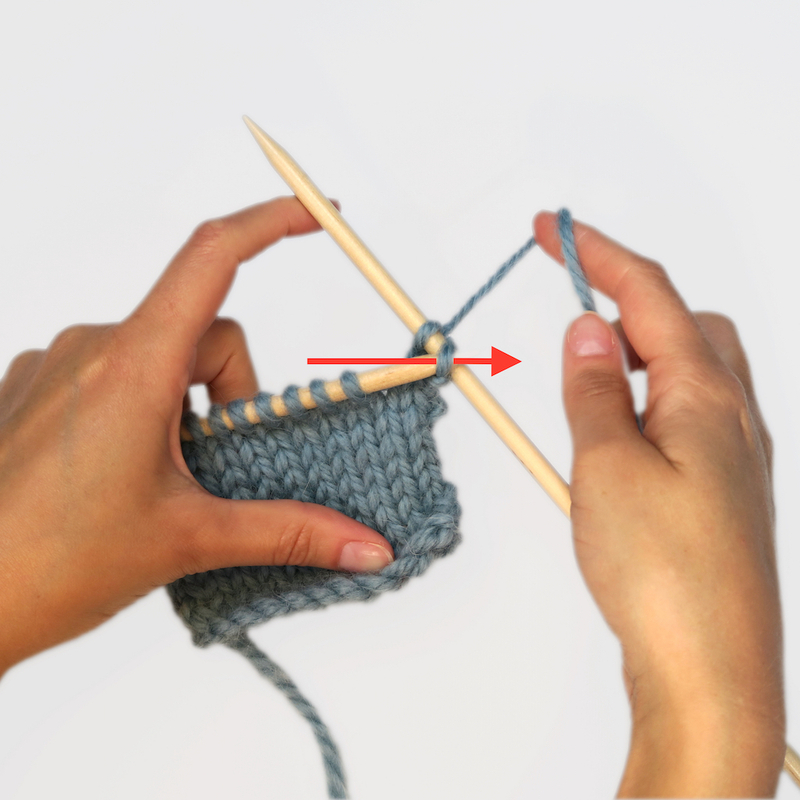 Insert your left needle into the front of the first of your two stitches. 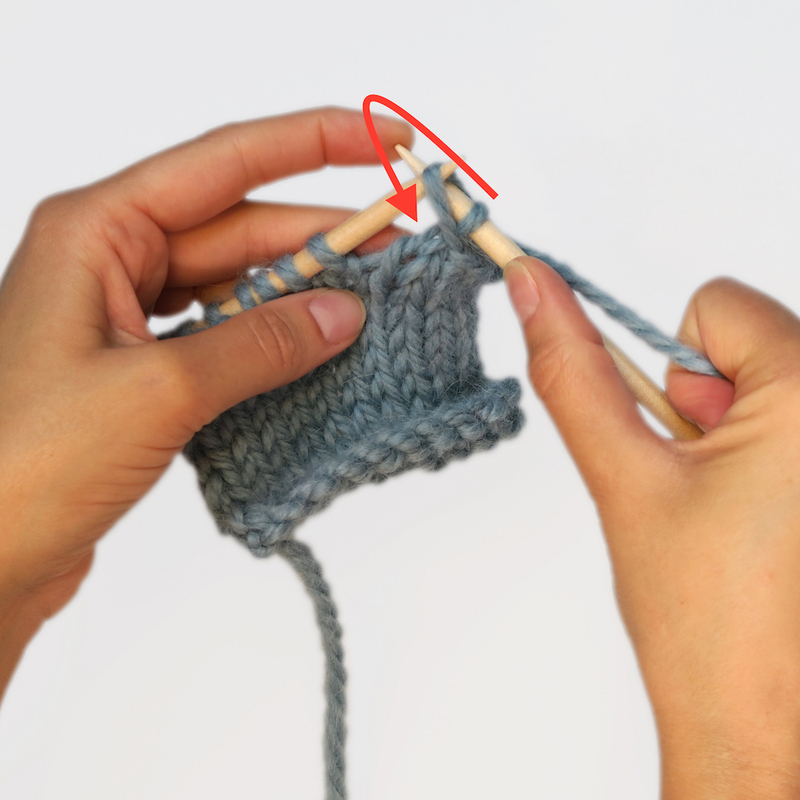 Pull your left needle gently over your right needle so that the first stitch loops over the top of the second stitch. You have now pulled the first stitch off the needle, and it is secured by the second one. 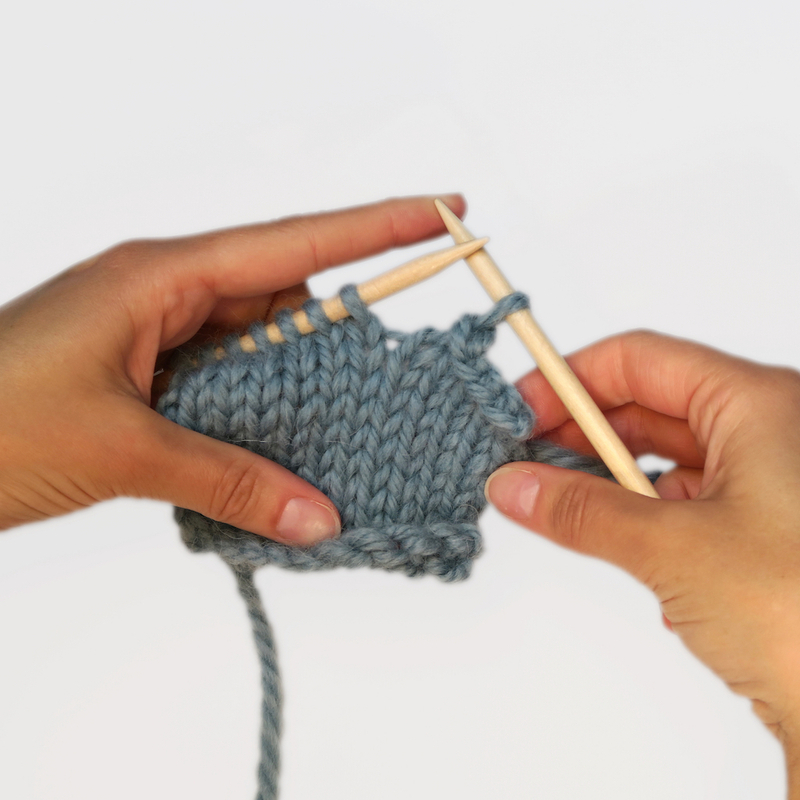 Knit another stitch, and repeat steps 2-4 until you get to the last stitch, then tie off. 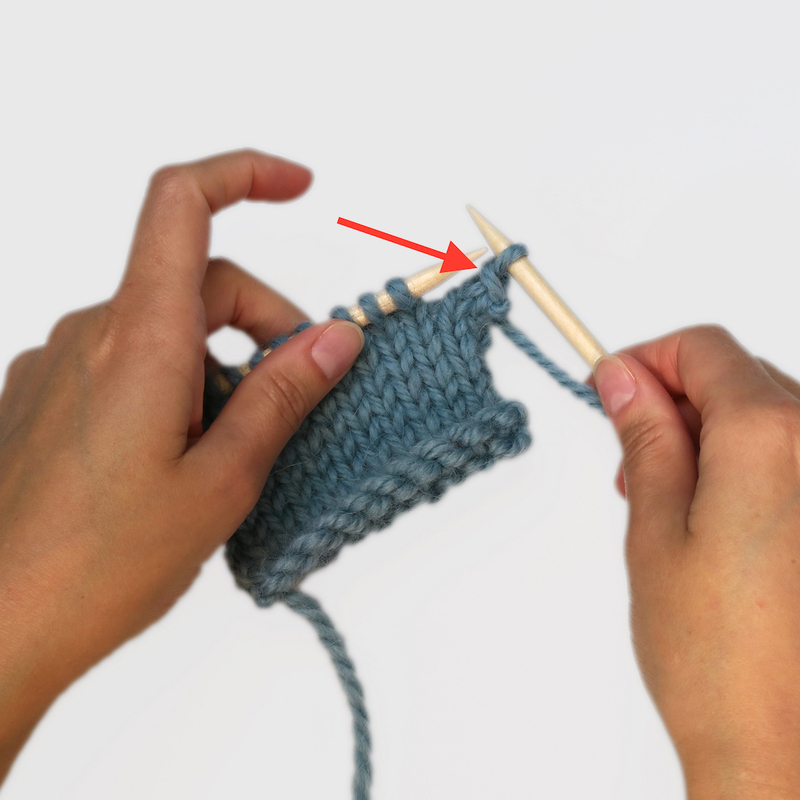 Tip: don’t have your yarn too tight, or it will draw the edge of your work too close. You have now cast off your stitches, and are ready to finish your project.